Could asset recycling solve Trump's infrastructure dilemma? Could asset recycling solve Trump’s infrastructure dilemma? Could Asset Recycling Be the Answer for Trump Infrastructure Plan? In my April column in Public Works Financing, I pointed out that the Trump Administration faces a dilemma in its quest for a $1 trillion infrastructure program based largely on private capital investment via public-private partnerships (P3s). Any such program must be enacted by Congress, and therein lies the problem. Most Democrats and many Republicans from rural states insist that a significant portion of the $1 trillion must be net new government spending. This is partly because the kinds of P3 projects investors are interested in have user-fee revenue streams—and few such projects are likely in rural states or for infrastructure like school buildings and new city halls that many legislators would like included. On the other hand, fiscal conservative members will insist that any net new federal spending must be paid for (generally by spending cuts), rather than being added to the national debt. So where is net new money for non-revenue-producing infrastructure going to come from? One idea getting increasing attention is “asset recycling,” as pioneered several years ago in Australia and now under serious consideration in Canada. The basic idea is for governments to sell or long-term lease existing revenue-producing infrastructure (airports, bridges, highways, seaports, etc.) and use the up-front proceeds to invest in other infrastructure that does not have its own revenue stream. An example I used in the PWF column is the Gateway Project in the New York metro area: new Amtrak and commuter rail tunnels under the Hudson River whose price tag (including various connections on both sides of the river) is $24 billion. Since neither Amtrak nor commuter rail does more than cover its operating costs out of the farebox, this project could not be financed as a revenue-based P3. However, the lead agency—the Port Authority—owns revenue-positive transportation assets that it could sell or lease, as governments worldwide have been doing in recent decades. My January 2017 study for the Manhattan Institute estimated the market value of the PA’s three major airports as $16.4 billion, the bridges and tunnels as $28.2 billion, and the seaports as $3.3 billion, for a total of $47.9 billion. What the federal government could do is to encourage state and local governments to engage in this kind of asset recycling, while making sure federal laws and regulations don’t stand in the way. One form of encouragement would be to provide incentive grants to such governments on condition that the net proceeds from sale/lease transactions be spent solely on needed infrastructure. A possible source of funding for such grants would be a portion of one-time federal revenues repatriated by corporations in response to proposed lower corporate tax rates. Australian states (such as New South Wales and Victoria) have been doing this for years, most recently selling or long-term leasing (under P3 concessions) major seaports and electric utility enterprises. For several years, Australia’s federal government offered states a 15% bonus payment on net asset proceeds if those proceeds were all invested in needed infrastructure. Canada’s federal government is seriously considering a similar asset recycling program, with Toronto’s Pearson International Airport as a potential first candidate. In Brazil, the Sao Paulo state government just closed a deal under which Abertis agreed to pay $453 million up-front for a 30-year P3 concession to expand and modernize 250 miles of existing toll road, with the state government using the proceeds for other infrastructure. Could such a plan actually gain traction in this country? Consulting firm McKinsey has urged both the Canadian and U.S. governments to pursue such a course. And last month Steven Ross, co-chairman of the President’s infrastructure task force, at a Bloomberg panel discussion, expressed interest in Australia’s asset recycling program, as described by fellow panelist John Schmidt of law firm Mayer Brown. At the forum, Schmidt also pointed to the long-term lease of the Indiana Toll Road as a U.S. precedent for asset recycling, in which the net proceeds were used for a 10-year program of highway capital investment in the state. Around the same time, the CEO of Blackstone Group, Steve Schwartzman, suggested in a TV interview that the United States emulate the Australian model. 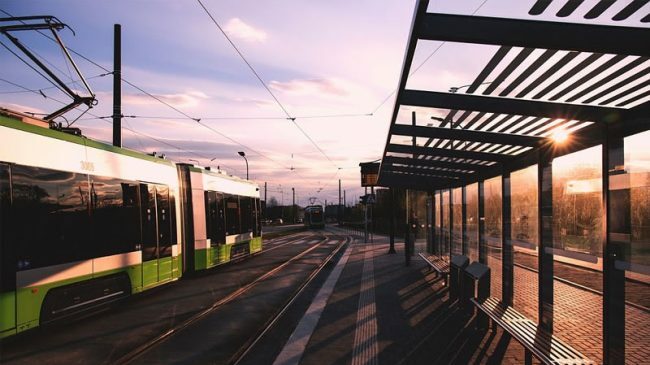 Over the last five years, the 50 largest global infrastructure investment firms raised $250 billion, according to data compiled by Infrastructure Investor. Many would eagerly invest in U.S. airports, bridges, highways, and seaports if only there was a pipeline of projects open to revenue-based P3 investment. So would a great many domestic and overseas pension funds. They don’t want or need a tax credit (as proposed by the Trump campaign last fall). All they need are projects open to P3 concessions. Congress could open the door to such a pipeline of projects. Two mega-projects that illustrate what not to do have been in the news recently. Both will likely be seeking a portion of the hoped-for $1 trillion Trump infrastructure funding. One is the current Honolulu elevated rail project; the other is a proposed high-speed rail line from Victorville, CA to Las Vegas. Honolulu’s 20-mile elevated rail project signed a $1.5 billion Full Funding Grant Agreement with the Federal Transit Administration in 2012 based on a total project cost of $5.2 billion. Construction began in 2012 with federal plus local funds, but by 2016 the estimated cost had grown to $8.6 billion, and in January 2017 the City revealed that the cost might grow further, to $9.5 billion. A second $800 million installment of the FTA grant is on hold, amid considerable local debate over whether or how to cover the huge funding shortfall. Former Gov. Ben Cayetano penned an open letter to President Trump, which was published in the Washington Post on April 21, 2017, calling for the remaining FTA grant to be rescinded. Local opponents have proposed converting the completed portion of the elevated guideway, on the outskirts of the city, to a reversible busway. 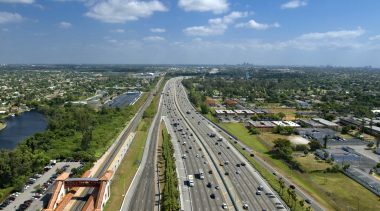 Though sold to voters as a way to reduce traffic congestion, the final Environmental Impact Statement projected that if the (likely over-optimistic) rail ridership projection was achieved, daily auto trips in 2030 would decrease from 81.5% of all trips to 80.1%—a reduction of only 1.4 percentage points. So much for the economic return on investment! The other project is an attempt to revive the proposed 186-mile XpressWest high-speed rail project, intended to whisk tourists from Los Angeles to Las Vegas. Only it would originate not at downtown Union Station but in the high-desert town of Victorville, 86 miles from downtown Los Angeles. A 2012 Reason Foundation study found the project’s cost estimates and ridership projections to be far from credible. That meant a high likelihood that Xpress West would default on its requested $5.5 billion federal loan (under the Railroad Rehabilitation & Improvement Financing program), intended to cover about 90% of project costs. In response to that report, then-Sen. Jeff Sessions and Rep. Paul Ryan wrote to the Federal Railroad Administration urging that the RRIF loan not be approved, which is what transpired. These two projects illustrate why economic return on investment should be a basic criterion for all such infrastructure projects. Over the past 30 years, high occupancy vehicle (HOV) lanes and more recently high occupancy toll (HOT) lanes have increased across the country. While these lanes can provide a faster travel option, they are not without their challenges. One of the biggest hurdles remains enforcing the occupancy requirement. Drivers have been known to employ dummies, blow-up dolls and even fake babies to meet the occupancy requirement to use the lanes, rather than having the required number of people aboard. A study by Brigham Young University of the Salt Lake City I-15 HOV lanes found that 25% of users don’t have the required occupancy. For years, companies have been developing systems using sensors and software to detect humans in the passenger and back- seat positions. The latest systems are an improvement, but are still not effective enough for DOTs or MPOs to use. Accurately detecting human occupancy is very challenging, as shown by two recent tests, one in Minnesota and the other in California. The goal of the MnDOT study was to test the detection capabilities of the Honeywell TriBand Infrared sensor for automating vehicle occupant enforcement. The system seeks to capture three images: one in the visible band and two others in the short-range infrared band. However, during the study it became apparent that the sensors were not penetrating the vehicle’s windows. Today’s front and side windows include reflective glass that minimizes glare to vehicle occupants. This glass prevents most image detectors from capturing the needed images. MnDOT researchers tried combining the original illuminator with a laser illuminator, but the two illuminators together provided only a marginal improvement. The average accuracy was 40.47% for the two illuminators versus 40.09% for the original illuminator. MnDOT researchers also examined the effects of vehicle positioning. These tests were conducted on a Ford Fusion, Mercury Mariner and Volkswagen Jetta on both sunny and cloudy days. All but one of the tests failed to detect a passenger. Glare was present in both sunny and cloudy situations. Xerox’s Vehicle Passenger Detection System using geometric algorithms and machine vision has performed significantly better. Xerox offers its technology as a stand-alone product in either Mobile or Fixed installation. It allows faces to be redacted to protect privacy. The company conducted an internal pilot in Nova Scotia that was 99% accurate at detecting two-person carpools and 95% accurate at detecting three-person carpools. 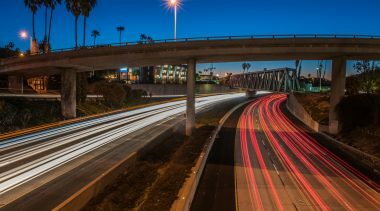 Caltrans then conducted a pilot of the same technology and found it was 95% accurate on a Los Angeles area expressway but less accurate on a San Diego expressway. But Caltrans officials noted that there are a number of steps before the Xerox technology is real-world ready. State and local police need to be familiar with the technology and be comfortable using it. There are questions on how data would be used, what kind of backup information is needed and whether the results would be admissible in court. Some California agencies are interested in the unit, but primarily for tolling enforcement rather than HOV occupancy enforcement. Other agencies are concerned about the cost. Workable and cost-effective automated detection capabilities may be ready within five years. However, a simpler solution would be a policy change: redefine “high occupancy” to mean vans and buses only (as on Maryland’s I-95 express toll lanes and the new lanes on the Mopac in Austin). Since vans and buses are readily identifiable, no special technology would be needed. In metro areas where shifting to super-high-occupancy is not politically acceptable, raising the carpool occupancy requirement to three people and allowing other vehicles to buy access to the lane may be a good option. Three-person carpools are far less common, making the enforcement problem much smaller. Further, the lane will now be an option for all drivers, which should reduce violations. The project was procured as a revenue-risk (toll) concession. Besides being completed six months ahead of schedule, the project was a great deal for Virginia DOT, in that it produced a $2.08 billion project for a state investment of just 28% of that total. That’s because toll-payers—as opposed to Virginia taxpayers—will cover the other 72% of the costs, assuming the toll revenue targets are achieved. And if they are not, the Skanska/Macquarie developer and its lenders have taken on that risk. 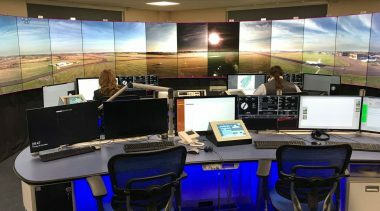 What I found most interesting about this project is the way in which early involvement by the developer enabled significant design innovations that reduced both initial cost and life-cycle cost. Skanska/Macquarie chose to use a concrete immersed tunnel design, rather than the more conventional method of using steel-shell immersed segments. There were significant life-cycle cost savings from going the concrete route, but this required developing a unique concrete mix capable of meeting the 120-year design life required. Another early decision was to use jet fans for the ventilation system—another less-common approach but one that saved space and reduced the cross-section (and hence the cost) of the tunnel itself. Jet fans also were found to have the lowest maintenance costs of the three ventilation alternatives. Tolling proved to be controversial, in part because although the existing tunnels had been toll-financed, their tolls were removed once the initial revenue bonds were paid off—which left VDOT with no dedicated funding for ongoing operations and maintenance, and no revenue source for the additional tunnel that was subsequently needed. And because the tunnels are substitutes for one another, tolling only the new one would have required sky-high tolls, compared with a tolling system for the overall tunnel system. And if that weren’t enough to arouse opposition, VDOT decided to begin toll collection on the existing tunnels while the new one was under construction. The idea was to raise enough extra revenue during construction to permit ongoing toll levels to be lower than would otherwise be the case. That decision inflamed opposition, and led VDOT to make a small additional investment to “buy down” the level of tolls. Overall, I think the results illustrate very nicely the difference that can be made by developing a project in which an integrated team is responsible for most of the design, the construction, and the operation and maintenance over a lengthy term of years. As illustrated by the choices made by the project team, there are real incentives to minimize the project’s total life-cycle cost. Conventional design-bid-build procurement focuses only on the lowest initial cost, which may well result in (a) a design that is difficult to build, resulting in costly change orders during construction, and (b) a design that requires considerably more maintenance by the DOT during the project’s useful life, since O&M costs are not the concern of either the design contractor or the construction contractor. More bang for the buck is built into a properly structured long-term toll concession, such as this one. National safety statistics paint an ominous picture. Total motor vehicle fatalities in 2016 increased by 6% over 2015, to 40,200, which is 14% higher than in 2014. According to the National Safety Council, the 2016 cost of motor-vehicle deaths, injuries, and property damage was $432.5 billion, up 16% from 2015. The Governors’ Highway Safety Association estimates 6,000 pedestrian deaths as part of the 2016 total, the highest level in 20 years. For several years now, based on my observation of drivers playing with their smartphones while driving, I have suspected a causal link between smartphone use and highway accidents. (A driver going 40 mph who takes just five seconds to send a text will travel 292 feet before returning eyeballs to the road ahead.) We are now starting to get data that supports such a connection. The AAA Foundation for Traffic Safety found that 88% of millennials engaged in at least one form of risky behavior in the past 30 days, including texting while driving. The National Highway Transportation Safety Administration estimates that the number of auto fatalities linked to distracted driving increased 8.8% in 2016. Even more data are being assembled by auto insurance companies, as reported in a front-page Wall Street Journal article (February 21st) headlined, “Smartphone Use Lifts Car-Insurance Rates.” State Farm, the largest insurer, surveyed its customers and found that 36% admitted to texting while driving in 2015 (compared with 31% in 2009), and 29% admitted to accessing the internet while driving (compared with 13% in 2009). And among customers aged 18-29, 64% admitted texting while driving and 54% to internet use. Allstate reported finding a striking correlation between smartphone ownership and accident frequency. Progressive, a pioneer in collecting data from policyholders’ vehicles as they drive, has found that the safe-driving scores it calculates from such data “are the best predictors we have of those who will get into an accident.” The latest version of Progressive’s data-collection device was developed by TrueMotion. Progreessive says the device is able to detect a driver’s use of a smartphone while driving. The question for transportation policymakers is how to deal with this growing safety hazard. As a threat to other drivers, bicyclists, and pedestrians, smartphone use while driving is akin to driving while drunk. Yet proving that smartphone-distraction was the cause of an accident is far less straightforward than measuring the blood alcohol level of the impaired driver. Many states already outlaw smartphone use while driving, but this is a very difficult law to enforce. Last November NHTSA issued voluntary guidelines for smartphone manufacturers to design their future operating systems with a “driver mode” that would block most uses when the owner is driving. That will eventually help, but what about the millions and millions of smartphones already in use every day? Two parallel efforts are already under way—one by app developers and the other by auto insurers. At least five companies currently offer smartphone apps that block various smartphone functions when the owner is driving (Aegis Mobility, AT&T DriveMode, Cellcontrol, LifeSaver, and TrueMotion Family). Some work only with iOS and others only with Android, but at least two are compatible with both. These apps are being used by responsible drivers—but that leaves millions of irresponsible ones creating hazards to themselves and others. The auto insurance industry, which has a large financial stake in identifying high-risk drivers, may be the key player in solving the problem. The May 16th issue of Forbes includes an article about the trend toward data-driven insurance. It focuses on TrueMotion’s key role in developing these capabilities for Progressive. That auto insurer has recently rolled out the TrueMotion app in four states, and plans to take it national by the end of this year. According to consultant Ptolemus, only 7.5 million of the auto insurance industry’s 200 million customers participate in voluntary driver-safety programs like this. But Ptolemus’s Thomas Hallauer expects this to change rapidly, with State Farm and others needing such data in order to better target safe-driver discounts. Such financial incentives may yield large near-term reductions in risky driver behavior such as driving while texting. The March 30th collapse of a section of I-85 in Atlanta led to commuting nightmares in the metro area. The elevated part of I-85, which carries approximately 250,000 vehicles per day collapsed because a homeless man set fire to PVC cables that the Georgia DOT had stored under the bridge. Fortunately, most commuters’ horrendous trips are about to end. GDOT has almost finished rebuilding the bridge, which is scheduled to re-open on Monday May 15th before morning rush hour. The agency also took advantage of the closure to repave a nearby section of I-85. Finally, GDOT and other state DOTs have learned not to store construction materials, such as PVC pipes, underneath a bridge. While it seems a questionable idea to store anything that could catch on fire under a major expressway, that was standard practice at many DOTs. The PVC cable was scheduled to be used for an ITS project on GA 400. However, the original vendor defaulted on the contract and the replacement vendor wanted to use a different technology. The collapse provided insight into two things: the Atlanta expressway system’s lack of redundancy and how a roadway collapse affects travel patterns. Atlanta is particularly susceptible to traffic gridlock because its expressway system has several missing links and lacks redundancy. Plans for both a north/south I-475 that would have connected I-675 in South DeKalb County with SR 400 north of downtown and the east/west Stone Mountain Expressway between I-75/I-85 in downtown and I-285 in DeKalb County were killed due to neighborhood opposition. Those opposing the expressways had legitimate concerns since the expressways would have cut communities in half and significantly decreased property values. However, the end result is a network in which one major incident or accident causes massive backups throughout the system. This partially built network affects north-south traffic the most. The I-85 bridge that collapsed is just south of the merger between GA 400 (3 lanes of traffic) and I-85 (6 lanes of traffic) which merge into 5 lanes of traffic. Downstream, I-85 (6 lanes of traffic) merges with I-75 (5 lanes of traffic) into the downtown connector (7 lanes of traffic). The incident on I-85 was bad enough, but imagine if something happened on the downtown connector itself? One solution to avoid future gridlock would be for GDOT to build a connection between SR 400 and I-675 similar to the cancelled I-485. However, instead of building a surface expressway, GDOT would build a tunnel beneath the populated areas, as proposed in a 2006 Reason Foundation study. Computer modeling conducted by the Georgia DOT and Georgia Tech has shown that the link would greatly reduce congestion. The challenge is such a project is expensive, likely more than $2 billion, and some of the nearby neighborhoods oppose it. Variable tolling would help offset the cost. With congestion on nearby expressways extending beyond rush hour to weekday middays and weekends, tolling could pay for a significant portion of the cost. Tunnels have proven to be a neighborhood-friendly solution. Boston buried several of its surface expressways in tunnels. Seattle is burying part of SR 99 to remove an earthquake-vulnerable elevated section and to better connect its waterfront with its downtown. The A-86 expressway in France is a double-decked tunnel beneath part of Versailles. While the proposed SR 400 to I-675 tunnel did not have a high-enough benefit/cost ratio last decade, growing traffic congestion in Atlanta combined with the redundancy improvement it would add may make it a worthwhile addition today. At the very least, GDOT should conduct another study to see if it makes sense now. As soon as the roadway collapsed, there was speculation on how commutes would be affected. Most experts thought that commutes would become significantly worse, with travel times doubling. However, a few led by Portland-based Joe Cortright of CEOs for Cities, argued that traffic congestion would be reduced. Citing examples of the weekend closures of I-405 in Los Angeles and the months-long closure of the I-35 bridge in Minneapolis, he argued that commuters quickly changed their routes or travel times. Further, some drivers might stop making their trips altogether. He cited the Atlanta commute on Monday April 3rd that featured lower traffic volumes as evidence. As it turns out Cortright was mostly wrong. The commute volumes of April 3rd-April 7th were somewhat lower due to all of the metro Atlanta school systems being on Spring break. However, once schools resumed the following week, so did abysmal congestion. Local roads in the area near the bridge collapse were a total disaster. Trips on local streets that routinely took 30 minutes, took 60-90 minutes. Traffic slowdowns didn’t happen just during rush hour but during middays and on weekends. More intriguing was how the I-85 closure shifted congestion. Since travelers could not take I-85 to downtown, they detoured to I-20 or I-75. Drivers traveling through the region chose Atlanta’s perimeter or beltway, I-285, instead. Commutes on I-20 took three times as long as before the collapse; commutes on I-285 took twice as long. Some chose arterials such as US 78 Scott Blvd, which had mile-long backups through Decatur. Travelers on Piedmont Avenue, which travels from Sandy Springs to Atlanta, encountered 5-mile backups. Clearly congestion in Atlanta got worse. In fact instead of turning into some kind of Nirvana, commuting resembled rush hour traffic in Los Angeles. What happened? First, a closure of a facility cannot be compared to a multi-month shutdown. Most folks don’t work during the weekend, so they don’t have to go anywhere. They might want to check out a new restaurant or see a baseball game. But those trips are discretionary and can be made on another weekend. Second, Minneapolis has 8-10 different expressways that travel north-south in the region; Atlanta has 4. If one Minneapolis expressway is closed, travelers can easily choose another one. But if one of Atlanta’s expressways is closed, travelers are stuck in congestion. The fact that Atlanta’s congestion got noticeably worse while Minneapolis’ did not shows the importance of building a robust network of expressways and arterials. Finally, the biggest problem resulting from the I-85 collapse was not congestion but economic harm. Trucks were stuck on I-285 for hours, disrupting the delivery patterns of businesses. The severe congestion caused residents to avoid social gatherings and sporting events. This leads to real economic harm to the grocery stores that cannot get fresh produce in time and to the vendors at the half-full sports arena, not to the mention the public as a whole. What Cortright should be measuring is not just congestion, but whether commuters have quit making the trip because it is simply too hard to get someplace. That definitely happened in Atlanta, but it likely happened in Minneapolis as well, which is why the idea that a collapsed bridge is merely a minor inconvenience is just plain wrong. InfraAmericas US P3 Forum 2017, Grand Hyatt, June 13-14, 2017, New York, NY (Robert Poole speaking). Details here. TRB Automated Vehicles Symposium, Hilton San Francisco Union Square, July 11-13, 2017, San Francisco, CA (Baruch Feigenbaum speaking). Details here. IBTTA/TRB Joint Symposium on Managed Lanes & AET, Hilton Anatole, July 15-18, 2017, Dallas, TX (Robert Poole speaking). Details here. Interoperable Tolling for North America. Gentex Corporation’s Integrated Toll Module is now interoperable not merely nationwide but also in Canada and Mexico. Gentex builds the module into automobile electronics packages sold to auto makers, such as automatic rear-view mirror dimming devices. The ITM is based on TransCore’s interoperable transponder, which is the first to provide all-electronic tolling interoperability for all of North America. Interstate Highway Rest Area Privatization Proposed. 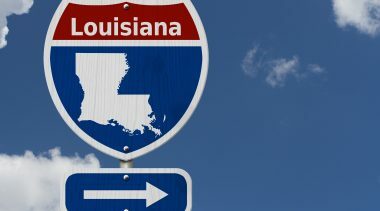 A bipartisan bill has been introduced in Congress to allow states to enter into public-private partnerships to commercialize rest areas on Interstate highways. The measure was drafted by Rep. Joe Courtney (D, CT) and Rep. Jim Banks (R, IN), both of whose state legislatures are looking seriously at using toll revenue to reconstruct and modernize their aging Interstates. Current federal law forbids any commercial services (other than vending machines) at Interstate rest areas, unlike the customer-friendly service plazas on U.S. toll roads. Major Tolled Tunnel Opens in India. The largest highway tunnel in Asia had its grand opening in April. It is the 6.75-mile long Chenani-Nashri Tunnel. Financed by tolls, it includes a state-of-the-art safety system designed by ABB India, and an integrated traffic control and video surveillance system. The main tunnel is 43 feet in diameter, and the parallel safety tunnel is 20 feet across. In addition to being India’s longest, it is currently the world’s sixth-longest highway tunnel. Philippines Relying on More Tolls and P3 Concessions. World Highways reported last month that SM Investments and Ayala submitted a proposal to the Manila Dept of Public Works and Highways for a 5.3-mile elevated tollway to link Manila with the Mall of Asia complex in Pasay City; it would be developed under a 35-year P3 concession. And Reuters reported an agreement between San Miguel Corp. and a state infrastructure agency to invest $11.4 billion developing expressways linking Manila to neighboring provinces. Illiana Toll Road May Get Restarted Privately. Great Lakes Basin Transportation has amended its previously announced plan for a $3 billion rail freight line (from Wisconsin to Indiana) to add the Daniel Burnham Expressway in the same corridor, which follows much of the route of the Illiana Toll Road that was shelved last year by the DOTs of Illinois and Indiana. Including contingencies, the combined cost is now estimated at up to $8 billion. Detroit-Windsor Bridge to Start Construction Next Year. The Windsor-Detroit Bridge Authority announced on April 28th that it expects to select a private contractor by late spring of 2018 for the $2.1 billion Gordie Howe International Bridge between Detroit and Windsor, Ontario. By that point, the agency hopes to have completed land acquisition on both sides of the border for the tolled mega-project. Indiana Toll Road Upgrades Continuing. The Indiana Toll Road Concession Company is under way replacing all eight service plazas on the 156-mile toll road, in a $70 million project. The first two plazas were re-opened in April, with new structures and service businesses. In parallel, ITRCC is in the second year of a $200 million program that is repaving much of the 1950s-era toll road. Maryland Balks at Express Toll Lanes for Congested I-270. Gov. 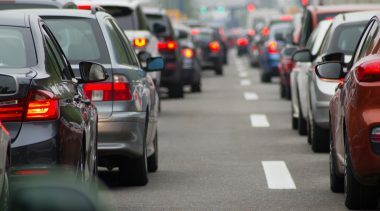 Larry Hogan last month announced a $105 million set of minor tweaks to the highly congested I-270 corridor that connects to Maryland’s portion of the Capital Beltway around the District of Columbia. Local business leaders and officials such as Montgomery County Council’s Roger Berliner have pushed for adding reversible express toll lanes to I-270 that could then extend to the Beltway and meet up with the express toll lanes on the Virginia side. The state claimed it did not have the money to add express lanes, but that excuse ignores the large toll revenue potential (which is paying for the majority of the cost of Virginia’s express toll lanes). Truck Platooning Pioneer Raises $60 Million. Peloton Technology last month raised $60 million in a second round of funding for its work on truck automation. Peloton is partnering with fleet management company Omnitracs to assist truck fleets to identify and arrange both scheduled and ad-hoc platooning opportunities. Incidentally, consultant Richard Bishop pointed out an error in last month’s article about truck automation. Current pilot projects being operated by Peloton involve Level 1, not Level 2, automation. Why Didn’t the Stimulus Improve U.S. Highways? That’s the question addressed in a paper by Bill Dupor of the Federal Reserve Bank of St. Louis. 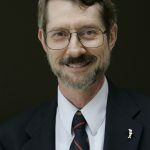 His article, in the agency’s quarterly Review, is “So, Why Didn’t the 2009 Recovery Act Improve the Nation’s Highways and Bridges?” The short answer he provides is that many states reduced their total highway capital spending between 2008 and 2010, and others kept it constant, with federal stimulus funds at least partially substituting for state funds—since most state budgets were under serious stress. Some 40% of the U.S. population live in states where the overall value of highway construction spending was lower in 2010 than in 2008. Bridj Calls It Quits. The Boston-based startup company that sought to compete with municipal transit systems using customized shuttle vans shut down at the end of April. Launched in 2014, it had some success attracting riders, but apparently the economics simply didn’t work out. Appeals Court Supports I-77 Toll Concession. The North Carolina Court of Appeals on May 1st ruled that a lower court was correct in rejecting a suit filed by opponents of the state’s P3 concession to add express toll lanes to I-77 in the Charlotte area. The plaintiffs had argued that the agreement was unconstitutional. More Express Toll Lane Projects in Los Angeles Metro Area. Following the recent opening of express toll lanes on SR 91 in Riverside County, the county’s Transportation Commission announced that next year it will launch the second phase: 14.6 miles of ETLs on I-15, from the interchange with SR 91 northward to Jurupa Valley. Also on tap for next year, San Bernardino County just to the north will launch design and construction of a $1.4 billion project to add express toll lanes on I-10. NCHRP Report on Truck Automation. The National Academy of Sciences has released a detailed report, “Challenges to CV and AV Applications in Truck Freight Operations.” The report lays out suggestions for state DOT planning, regulatory considerations, pilot projects, and further research and testing. A PDF of the report is available here.